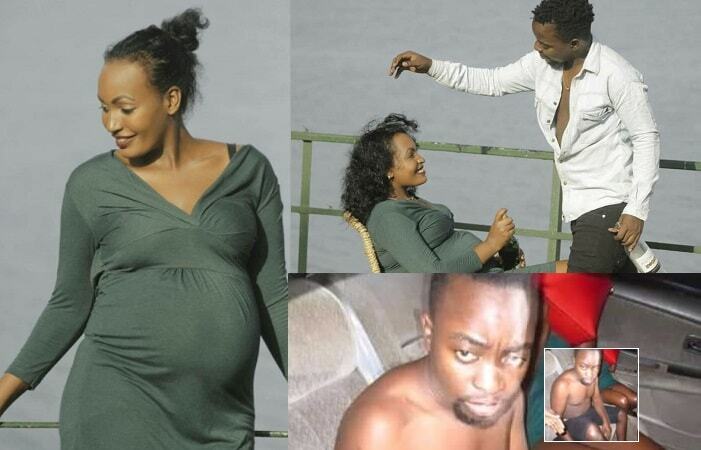 Barbi Jay's wife, Mariam, gave birth to a bouncing baby boy early this month and inset is the woman he was found with in his car. Singer Julius Buyinza aka Barbi Jay Nsolo Nkabwe was on Sunday arrested for being idle and disorderly after he was found in a white saloon car parked by the roadside. In the car, the singer was in the company of a young woman who was clad in a green micro dress when the cops bumped into them, he did not have a shirt at the time of the arrest. "I'm equally in shock after what happened. It is true, I was with a woman in the car, but she was one of the video vixens for a video we are working on." "We had been from a rehearsal and she wanted a quick bite, so we had stopped by the roadside." Asked why he was half dressed at the time of the arrest and the woman had no undergarment? 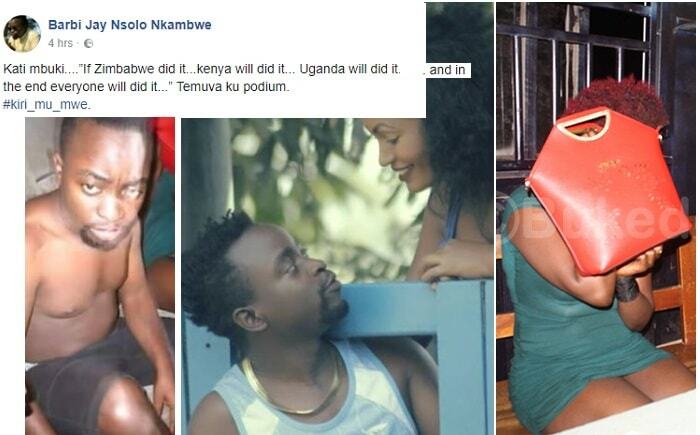 "I was from a rehearsal and it was hot, so I removed my shirt, but my shorts were on, how could I be doing such with my shorts on, as for her, that is how she prefers to dress," The Sumbusa singer explained. He concluded by asking his in-laws, fans and friends who were affected by the whole incident to forgive him, continue supporting his music now that most of them came to know him through his music. In a related development, his wife, Nisha Mariam, who has just given birth a few days back was all in tears saying she is in shock. Mariam said that Barbi who left home with claims that he was going for a show has not returned, but adds that if the woman who his hubby was with in the car is the one she suspects, she will deal with her, "I'm only waiting for Barbi Jay to tell me his side of the story." When she was interviewed after giving birth, she confirmed that her hubby was faithful and their past problems had been resolved, but the latest developments could easily lead to more cracks in their relationship. 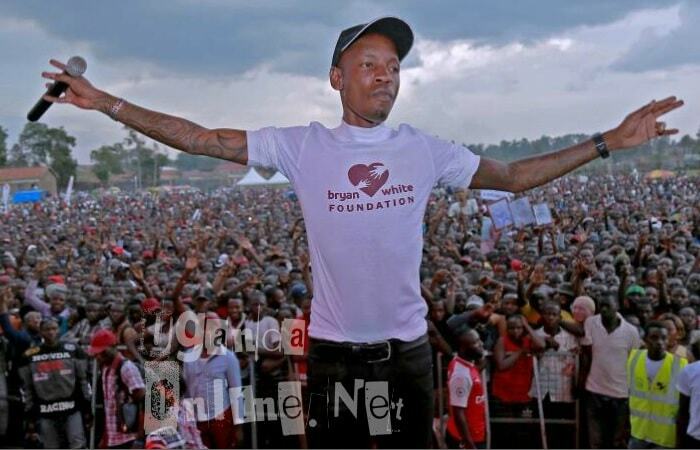 The Bryan White Foundation, an organization by city socialite, Brian Kirumira aka Bryan White was on Saturday launched in Mbarara at Kacheka Stadium. A 30 ton truck with an assortment of items ranging from maize flour, mattresses, sanitary pads, detergents and cash money, of course, were given out.